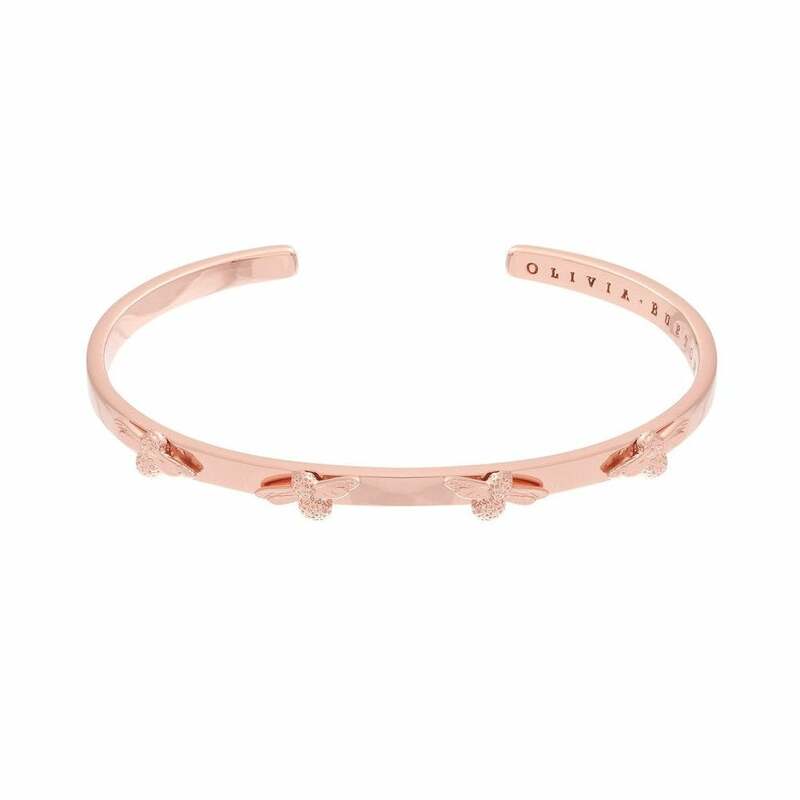 We love this gorgeous rose gold bangle! Every tiny detail has been carefully considered when designing this bangle, producing the most sophisticated chic bracelet this season! A sure conversation starter! Embellished with delicate 3D bee motifs this stylish bangle is perfect to wear alone as a statement piece, or stack with your favourite Olivia Burton watch for added impact.